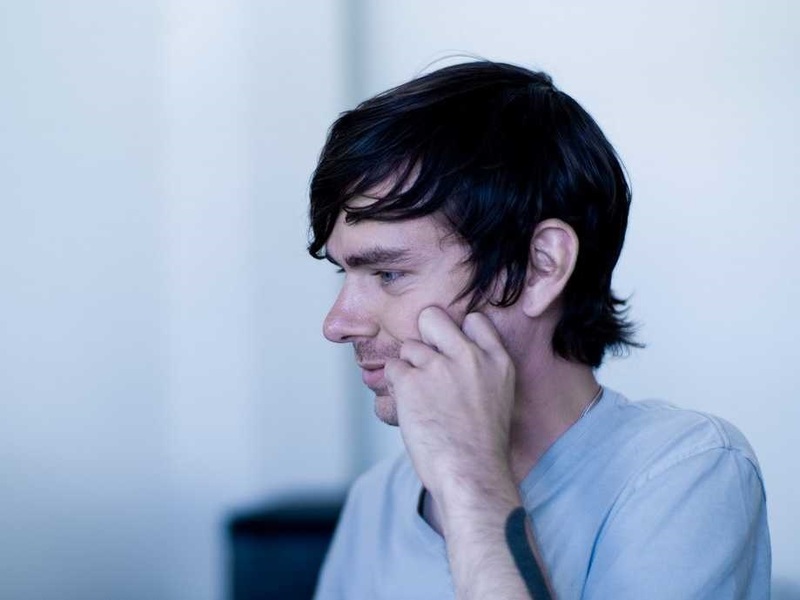 Jack Dorsey cofounded Twitter in 2006 and the company has made him a billionaire. He is famous for his unusual life of luxury, including a daily fasting routine, regular ice baths, and a penchant for dating models. Dorsey has also been caught up in the techlash, which engulfed companies like Twitter and Facebook last year. From fighting armies of bots to quashing rumours about posting his beard hair to rapper Azealia Banks, Twitter CEO Jack Dorsey leads an unusual life of luxury. 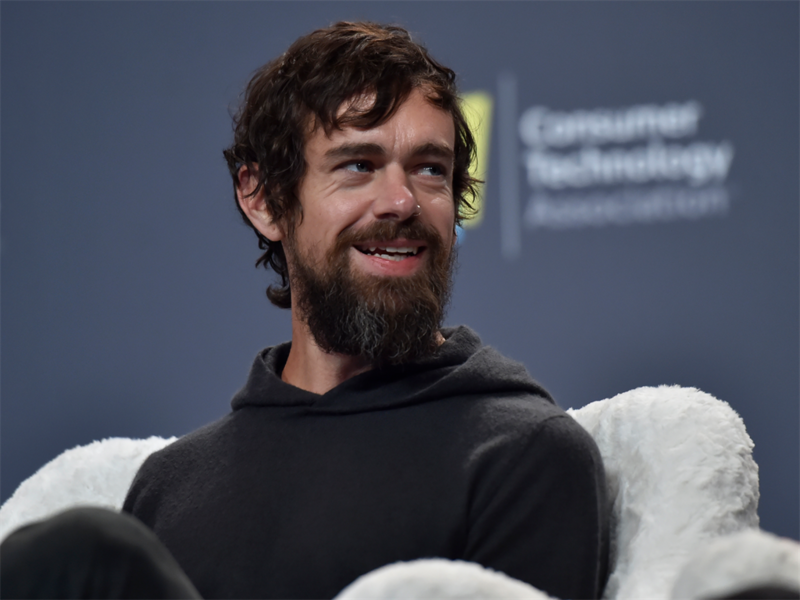 Dorsey has had a turbulent career in Silicon Valley. 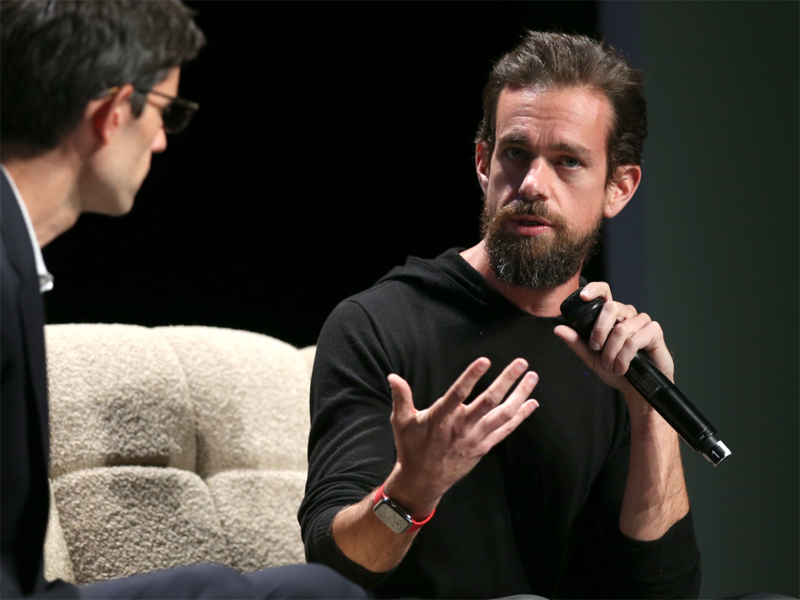 After cofounding Twitter in 2006, he was booted as the company's CEO two years later, but returned in 2015 having set up his second company, Square. 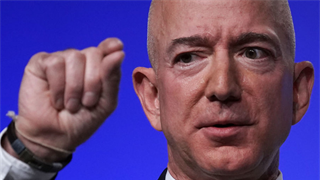 Since then, he has led the company through the techlash that has engulfed social media companies, at one point testifying before Congress alongside Facebook COO Sheryl Sandberg. Meanwhile, Dorsey has provoked his fair share of controversy and criticism, extolling fasting and ice baths as part of his daily routine. His existence is not entirely spartan, however. Like some other billionaires, he owns a stunning house, dates models, and drives fast cars. 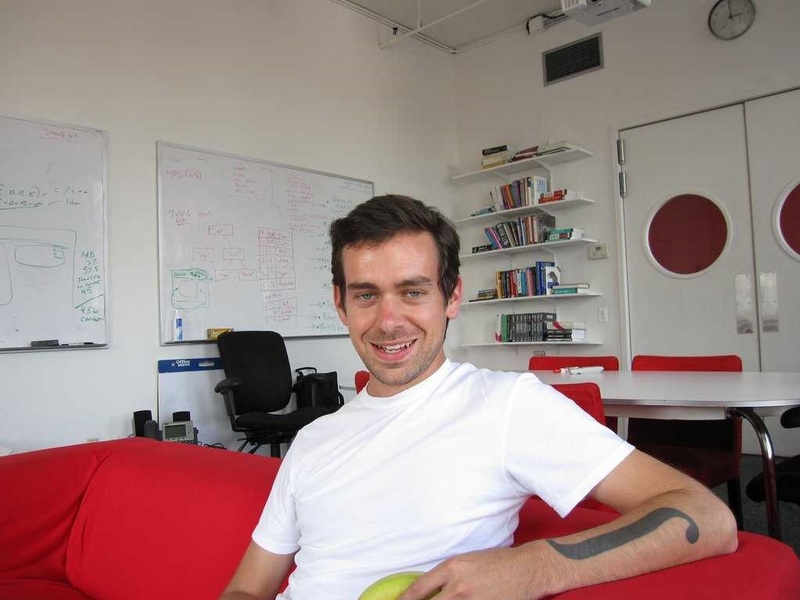 Scroll on to read more about the fabulous life of Jack Dorsey. Rebecca Borison wrote an earlier version of this story. Dorsey began programming while attending Bishop DuBourg High School in St. Louis. 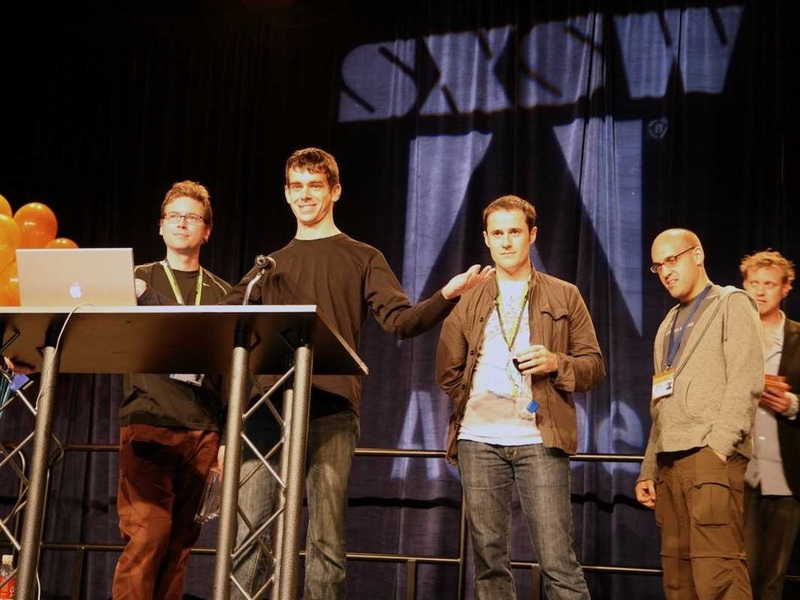 At age 15, Dorsey wrote dispatch software that is still used by some taxi companies. 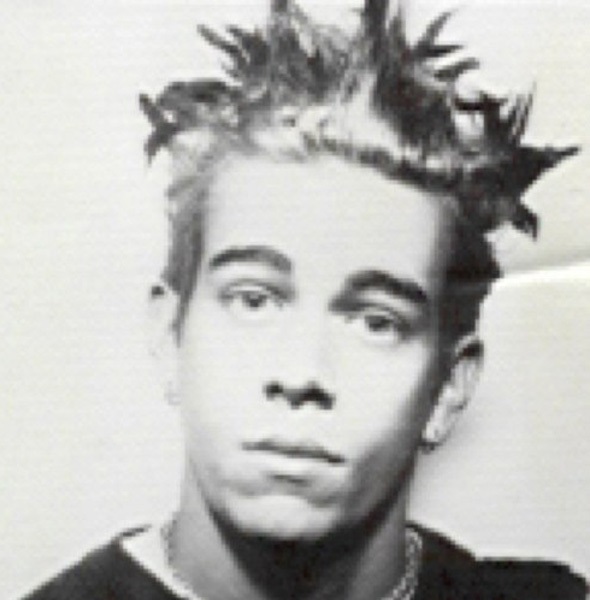 When he wasn't checking out speciality electronics stores or running a fantasy football league for his friends, Dorsey frequently attended punk-rock concerts. These days Dorsey doesn't favour the spiky hairdo. Like many of his fellow tech billionaires, Dorsey never graduated from university. He briefly attended the Missouri University of Science and Technology and transferred to New York University before calling it quits. In 2000, Dorsey built a simple prototype that let him update his friends on his life via BlackBerry and email messaging. Nobody else really seemed interested, so he put away the idea for a bit. Fun fact: Jack Dorsey is also a licensed masseur. He got his licence in about 2002, before exploding onto the tech scene. He got a job at a podcasting company called Odeo, where he met his future Twitter cofounders. Odeo went out of business in 2006, so Dorsey returned to his messaging idea, and Twitter was born. On March 21, 2006, Dorsey posted the first tweet. Dorsey kept his Twitter handle simple, "@jack." Dorsey took out his nose ring to look the part of a CEO. He was 30 years old. A year later, Dorsey was already less hands-on at Twitter. 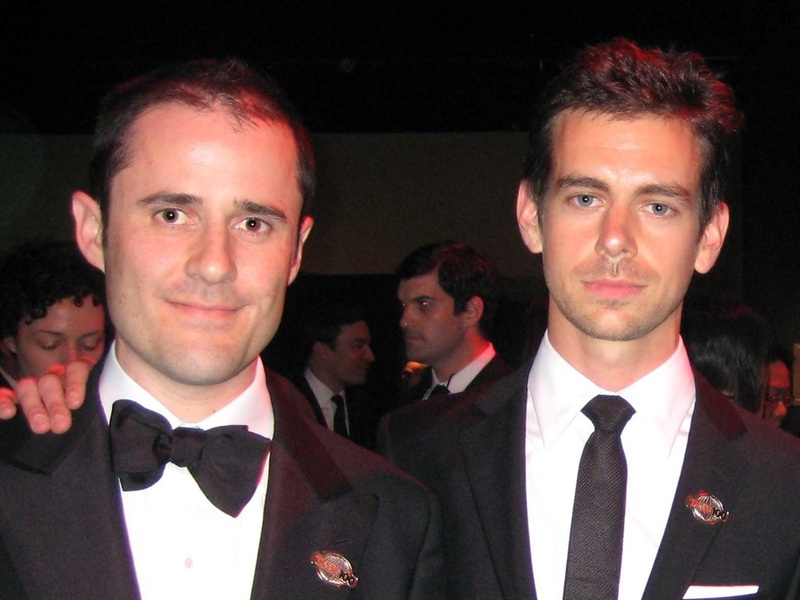 By 2008, Williams had taken over as CEO, and Dorsey transitioned to chairman of Twitter's board. Dorsey immediately got started on new projects. He invested in Foursquare and launched a payments startup called Square that lets small-business owners accept credit card payments through a smartphone attachment. In 2011, Dorsey got the chance to interview US President Barack Obama in the first Twitter Town Hall. Dorsey had to remind Obama to keep his replies under 140 characters, Twitter's limit at the time. 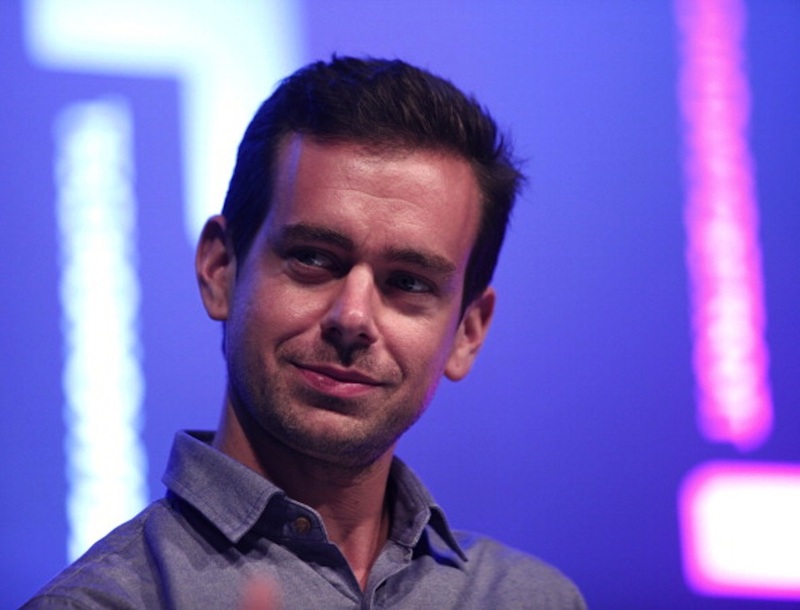 Twitter went public in November 2013, and within hours Dorsey was a billionaire. In 2014 Forbes pegged Dorsey's net worth at $2.2 billion (R30 billion). As of March of this year he was worth roughly $5.1 billion (R70 billion). 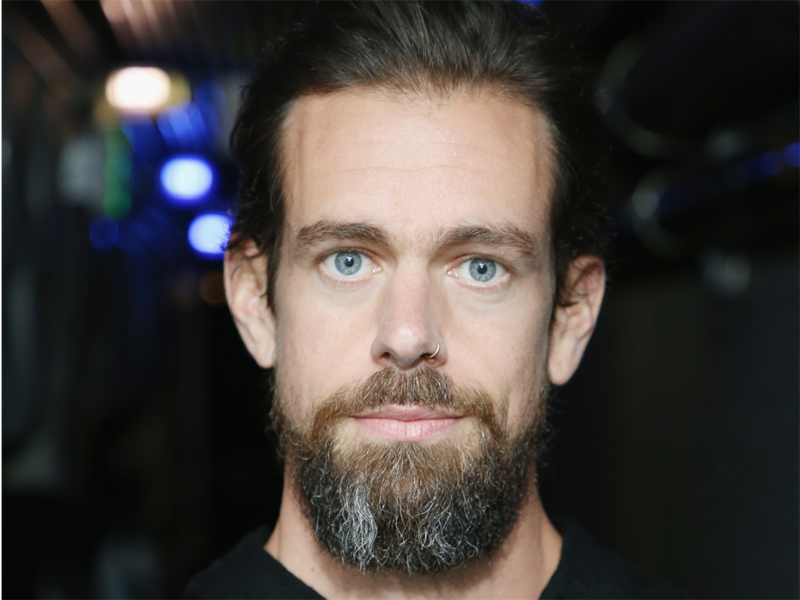 It was revealed in a 2019 filing that Dorsey earned just $1.40 (R19) for his job as Twitter CEO the previous year. The $1.40 (R19) salary actually represented a pay rise for Dorsey, who in previous years had refused any payment at all. He's far from the only Silicon Valley mogul to take a measly salary, Mark Zuckerberg makes $1 (R13) a year as CEO of Facebook. Dorsey does, however, hold Twitter shares worth $557 million (R7 billion) at the time of the filing. He might have been worth more had he not given back 10% of his stock to Square. This helped Square employees, giving them more equity and stock options. It was also helpful in acquiring online food-delivery startup Caviar. 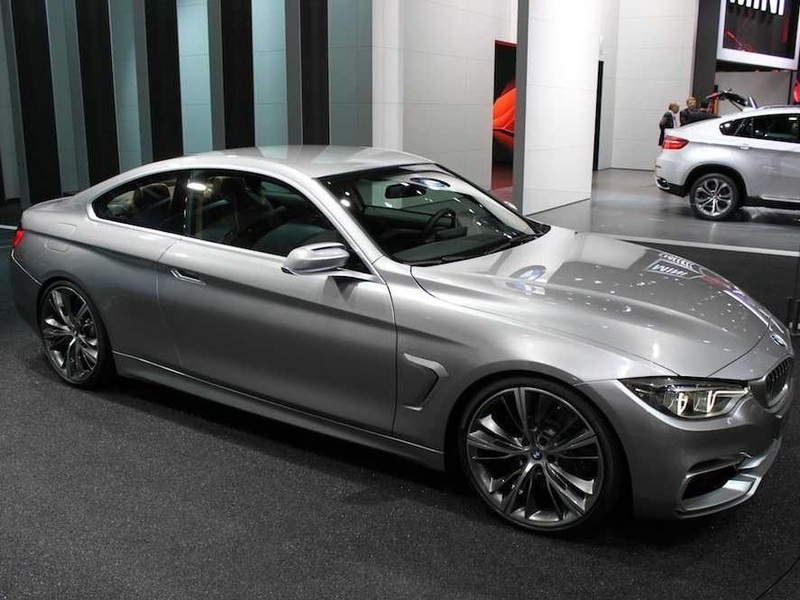 With his newfound wealth, he bought BMW 3 Series, but reportedly doesn't drive it often. 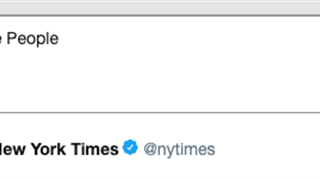 "Now he's able to say, like, 'The BMW is the only car I drive, because it's the best automotive engineering on the planet,' or whatever," Twitter cofounder Biz Stone told The New Yorker in 2013. 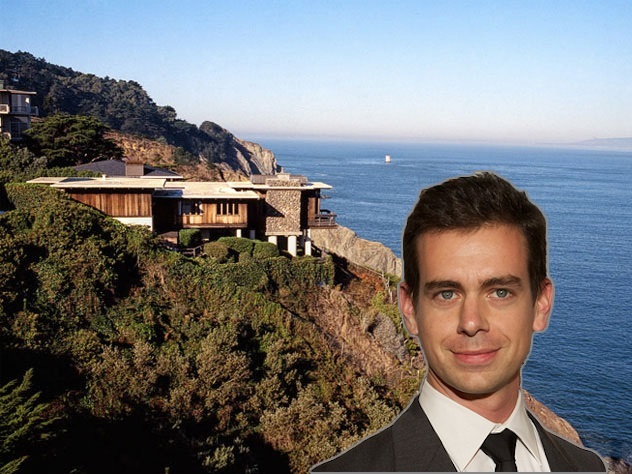 He also reportedly paid $9.9 million (R137 million) for this seaside house on El Camino Del Mar in the exclusive Seacliff neighbourhood of San Francisco. The house has a view of the Golden Gate Bridge, which Dorsey views as a marvel of design. He works from home one day a week. In an interview with journalist Kara Swisher conducted over Twitter, Dorsey said he works out of his kitchen every Tuesday. He also told Kara Swisher that Elon Musk is his favourite Twitter user. Dorsey said Musk's tweets are, "focused on solving existential problems and sharing his thinking openly". 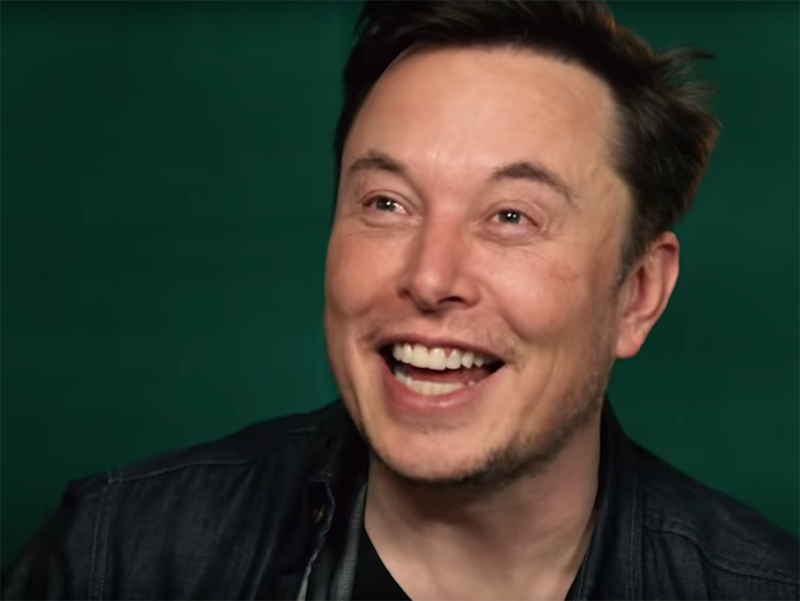 He added that he enjoys all the "ups and downs" that come with Musk's sometimes unpredictable use of the site. Musk himself replied, tweeting his thanks and "Twitter rocks!" followed by a string of random emojis. 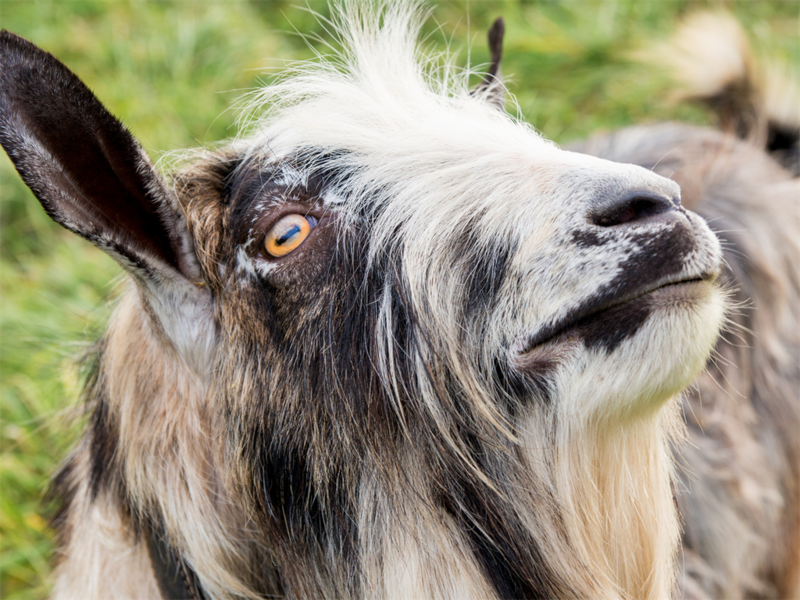 Mark Zuckerberg once served Jack Dorsey a goat he killed himself. Dorsey told Rolling Stone about the meal, which took place in 2011. Dorsey said the goat was served cold, and that he personally stuck to salad. His eating habits have raised eyebrows. Appearing on a podcast run by a health guru who previously said that vaccines caused autism, Dorsey said he eats one meal a day and fasts all weekend. He said the first time he tried fasting it made him feel like he was hallucinating. "It was a weird state to be in. But as I did it the next two times, it just became so apparent to me how much of our days are centered around meals and how - the experience I had was when I was fasting for much longer, how time really slowed down," he said. The comments drew fierce criticism from many who said Dorsey was normalising eating disorders. In the early days of Twitter, Dorsey aspired to be a fashion designer. 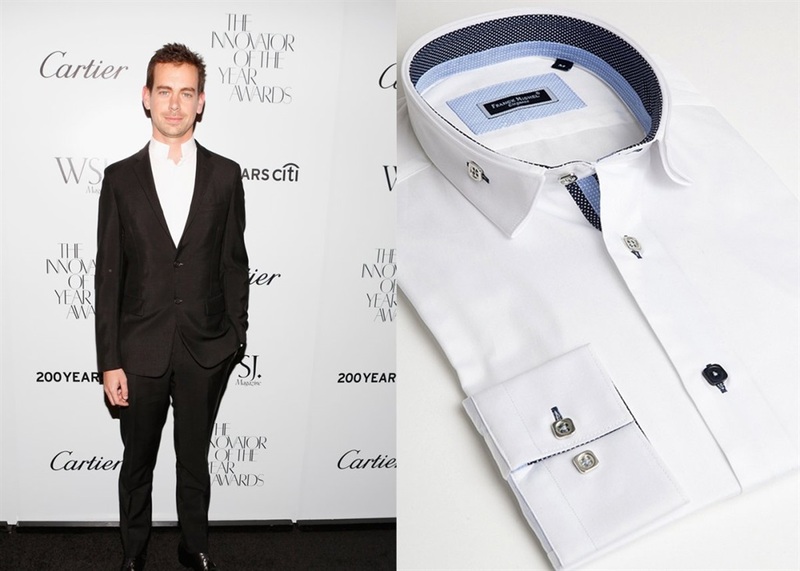 Dorsey would regularly don leather jackets and slim suits by Prada and Hermès, as well as Dior Homme reverse-collar dress shirts, a sort of stylish take on the popped collar. More recently he favours edgier outfits, including the classic black turtleneck favoured by Silicon Valley luminaries like Steve Jobs. He also re-introduced the nose-ring and grew a beard. Dorsey seems to care less about looking the part of a traditional CEO these days. Azealia Banks claimed to have been sent clippings of Dorsey's beard hair to fashion into a protective amulet, although Dorsey denied this happened. In 2016 Banks posted on her now-deleted Twitter account that Dorsey sent her his hair, "in an envelope". 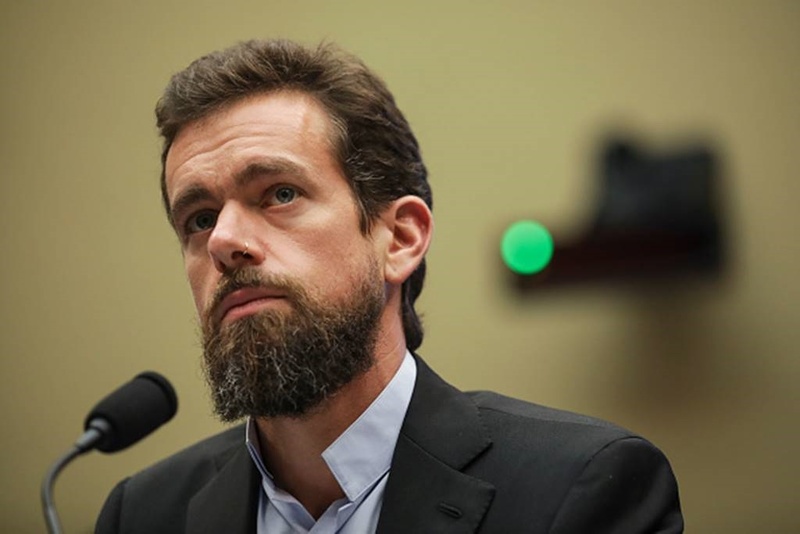 Dorsey later told the HuffPo that the beard-posting incident never happened. 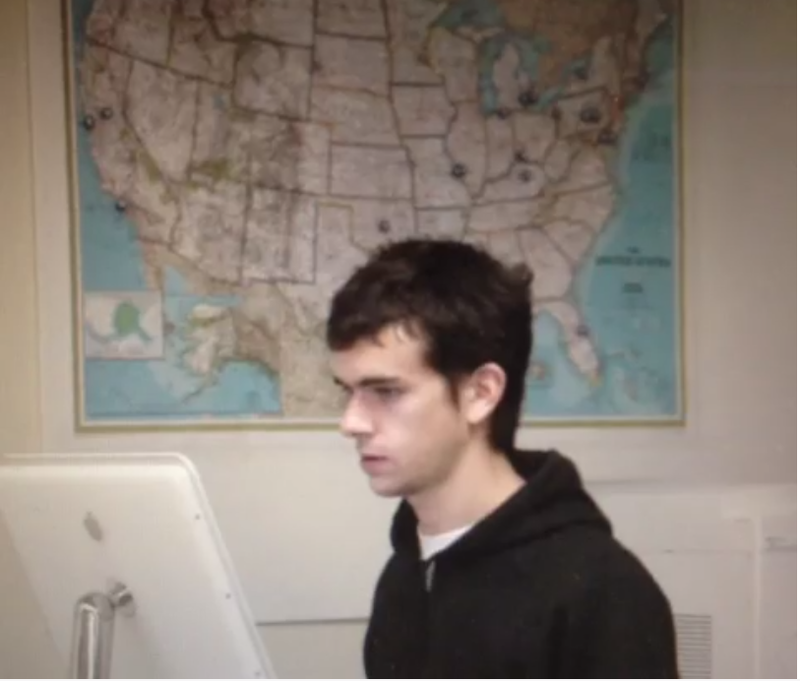 Dorsey frequently travels the world and shares his photos with his 4 million Twitter followers. 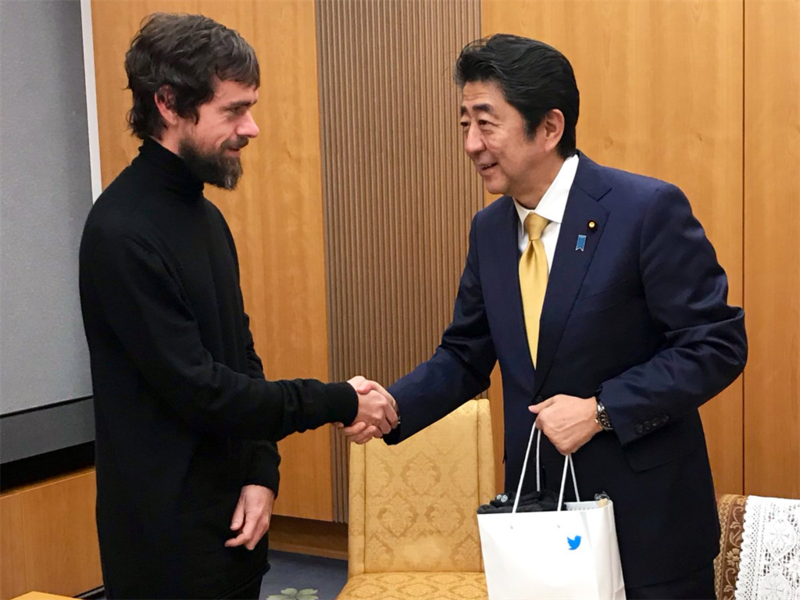 On his travels, Dorsey meets heads of state, including Japan's Prime Minister Shinzo Abe. Tweets about his vacation in Myanmar also provoked an outcry. 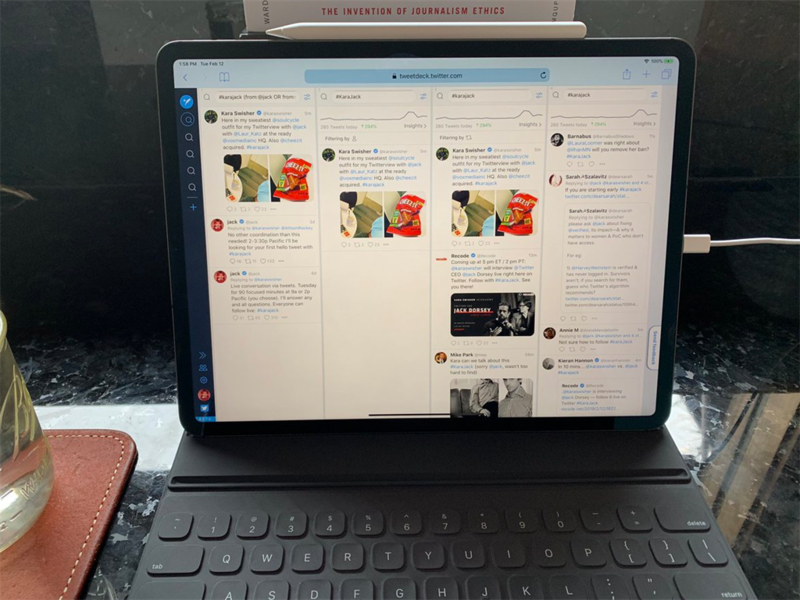 Dorsey tweeted glowingly about a vacation he took to Myanmar for his birthday in December 2018. "If you're willing to travel a bit, go to Myanmar," he said. 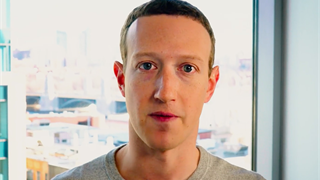 This came at the height of the Rohingya crisis, and Dorsey was attacked for his blithe promotion of the country - especially since social media platforms were accused of having been complicit in fuelling hatred towards the Rohingya. However, Dorsey says he doesn't care about "looking bad". 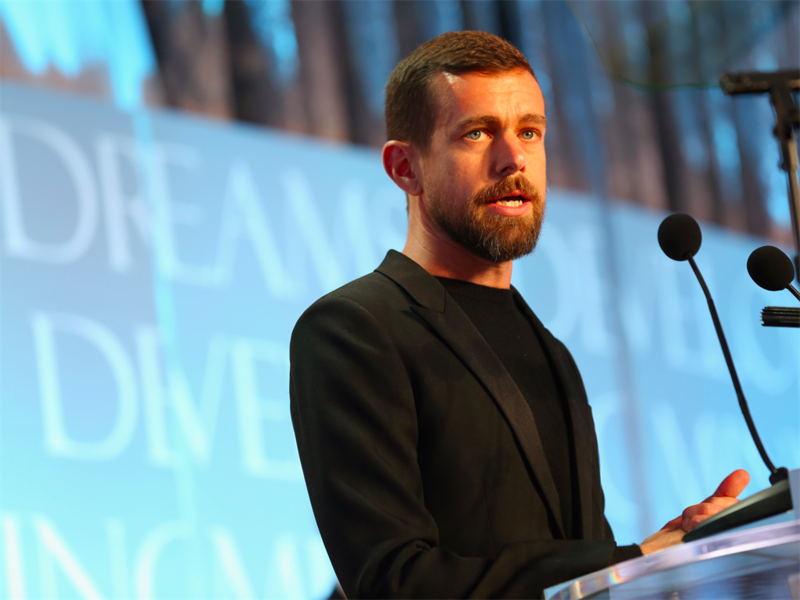 In a bizarre Huffington Post interview, Dorsey was asked whether Donald Trump - an avid tweeter - could be removed from the platform if he called on his followers to murder a journalist. Dorsey gave a vague answer which drew sharp criticism. Following the interview's publication, Dorsey said he doesn't care about "looking bad". "I care about being open about how we're thinking and about what we see," he said. In September 2018, Jack Dorsey was grilled by lawmakers alongside Facebook COO Sheryl Sandberg. 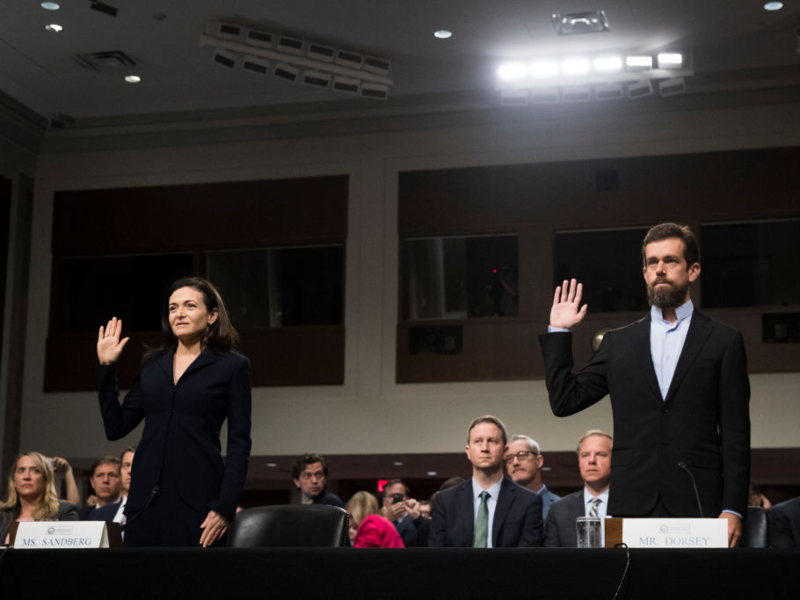 Dorsey and Sandberg were asked about election interference on Twitter and Facebook as well as alleged anti-conservative bias in social media companies. During the hearing, Dorsey shared a snapshot of his spiking heart rate on Twitter. Dorsey was in the hot seat for several hours. His heart rate peaked at 109 beats per minute. When he's not in Washington, Dorsey regularly hops in and out of ice baths and saunas. Dorsey said in the "Tales of the Crypt" podcast that he started using ice baths and saunas in the evenings around 2016. He will alternately sit in his barrel sauna for 15 minutes and then switch to an ice bath for three. He repeats this routine three times, before finishing it off with a one-minute ice bath. He also likes to take an icy dip in the mornings to wake him up. Dorsey's dating life has sparked intrigue. In 2018, he was reported to be dating Sports Illustrated model Raven Lyn Corneil. Page Six reported in September last year that the pair were spotted together at the Harper's Bazaar Icons party during New York Fashion Week. 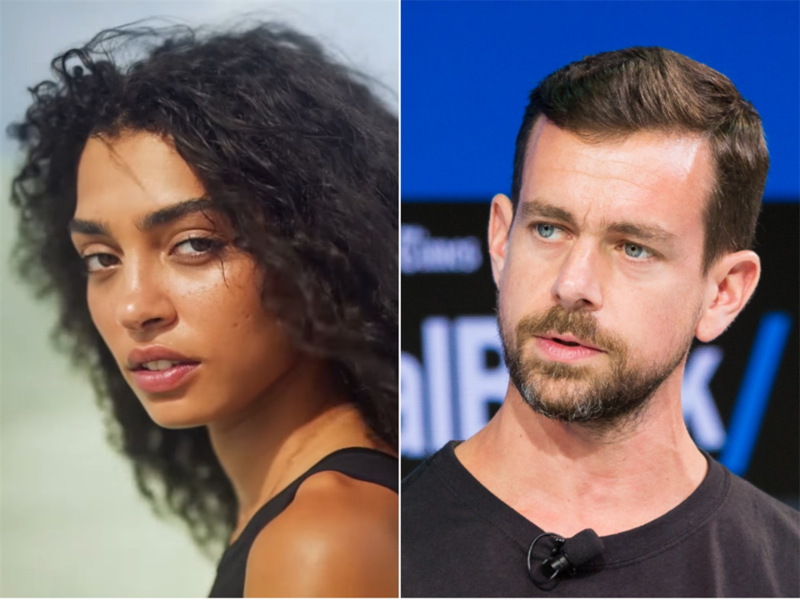 Page Six also reported that Dorsey's exes included actress Lily Cole and ballet dancer Sofiane Sylve. He's a big believer in cryptocurrency, frequently tweeting about its virtues. In particular, Dorsey is a fan of Bitcoin, which he described in early 2019 as "resilient" and "principled". He told the "Tales of the Crypt" podcast in March that he was maxing out the $10,000 weekly spending limit on Square's Cash App buying up Bitcoin.